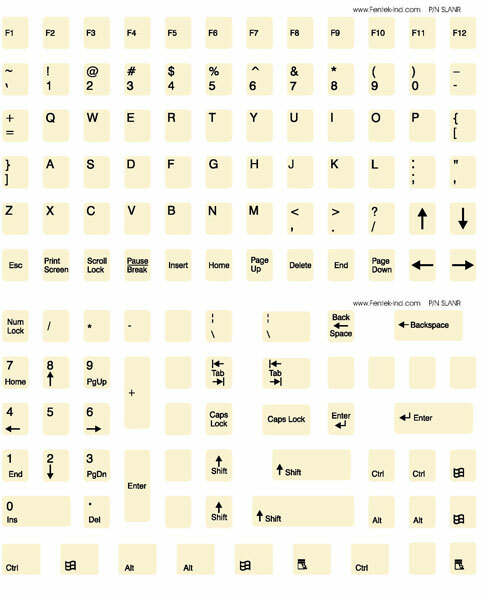 AlphaNumeric Keytop Labels are a cost-effective, economical solution that allows you to relabel your keyboard in the Dvorak or Standard QWERTY Layout. 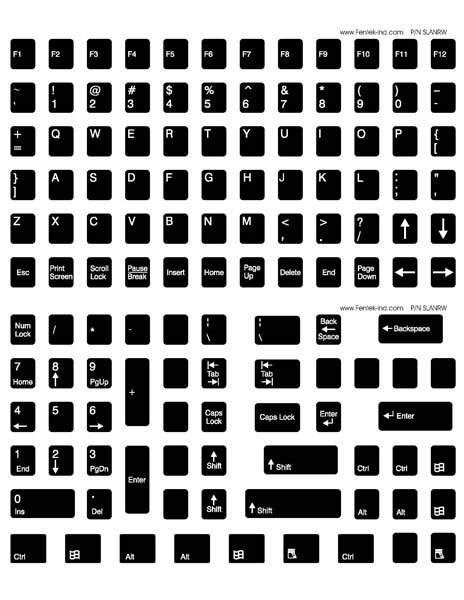 They are manufactured from durable Lexan and printed on the underside so your keystrokes never touch the print. 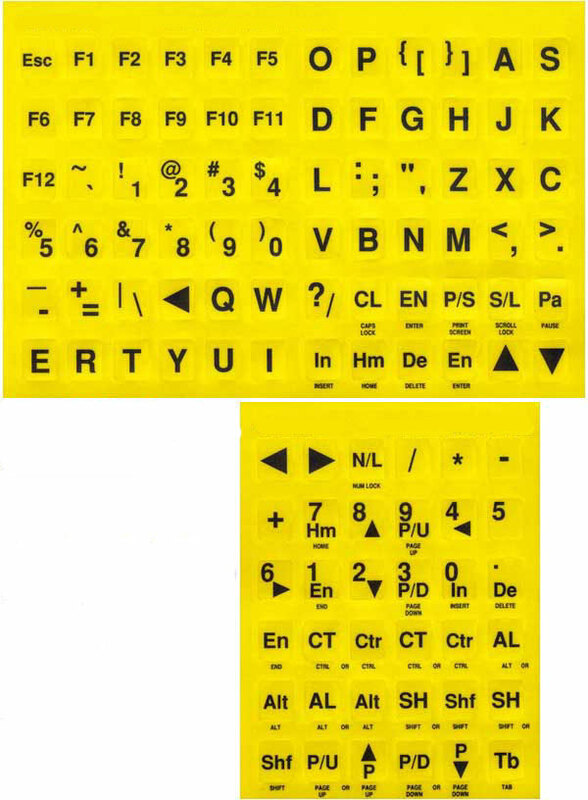 The backing is an aggressive 3M adhesive that will keep the label in place until intentionally removed. 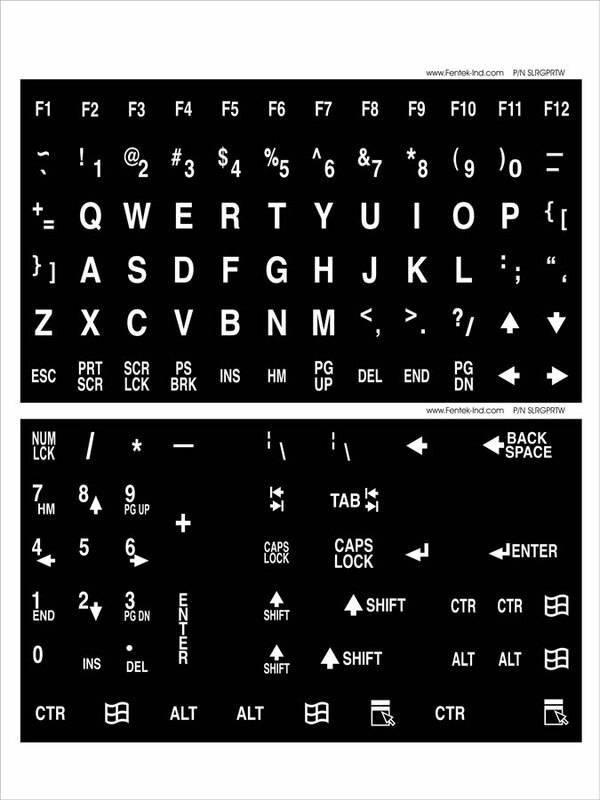 CONVERT YOUR KEYBOARD TO A LARGE PRINT KEYBOARD FOR THE VISUALLY IMPAIRED WITH LARGE PRINT KEYTOP LABELS. 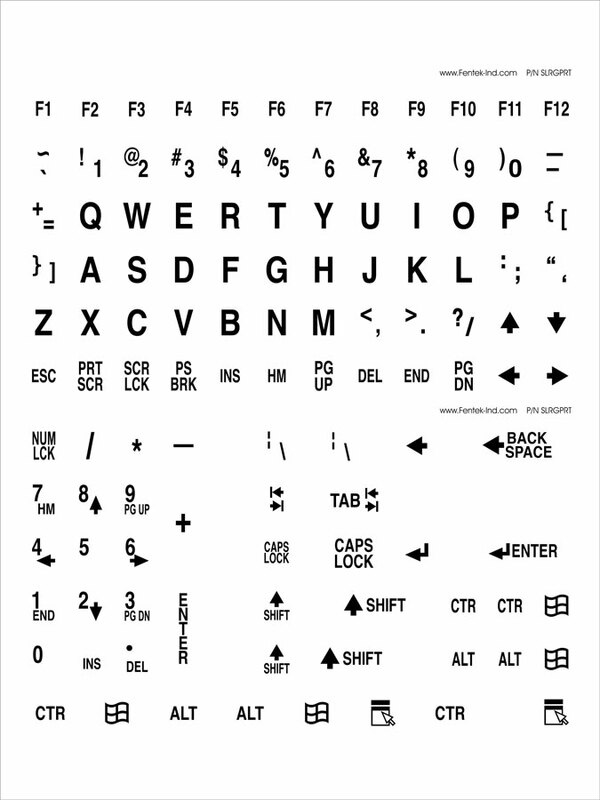 ADHESIVE BACKED LARGE PRINT KEYTOP LABELS ARE A COST-EFFECTIVE AND ECONOMICAL METHOD OF CONVERTING ANY KEYBOARD TO A LARGE PRINT FORMAT.